Road Test: Talbot Alpine LE. Dreadful but fantastic. – HubNut – celebrating the average! Road Test: Talbot Alpine LE. Dreadful but fantastic. A quick break from the world of electric Volkswagens as I correct a massive oversight – how could I forget that I’d finally had a decent drive in a Talbot Alpine? Sheer glamour, the other week. Surely it must be dreadful to drive? I’ve long admired the Talbot née Simca/Chrysler Alpine. As Simca’s final flurry, it was a bold statement. It took the basic formula of the Renault 16 – hatchback, space, comfort – and brought it bang up to date, with sharp styling and quite a few less quirks. It was powered by the ‘Poissy’ four-cylinder, overhead valve engine that had first seen life in the 1961 Simca 1000. Ok, that bit was less bang up to date! Sold as the Simca 1307 in France, and the Chrysler Alpine in the UK, the car took the European Car of the Year award in 1976 – the year after launch. That was also the year that UK production commenced, at the now-sadly demolished Ryton-on-Dunsmore plant near Coventry. Fewer than 200,000 were built there by the time production ended in 1986. Not a hugely successful run, though the Simca 1307/1308 sold much better – 200,000 were built by the end of 1976! This one model accounted for 7% of all French car sales that year. The British were not so welcoming. The engines were seen as too noisy, and the market the Alpine was aimed at wanted a nice, conventional saloon. Like the Morrs Marina, Ford Cortina or Vauxhall Cavalier. Our loss really, as these are rather good cars. 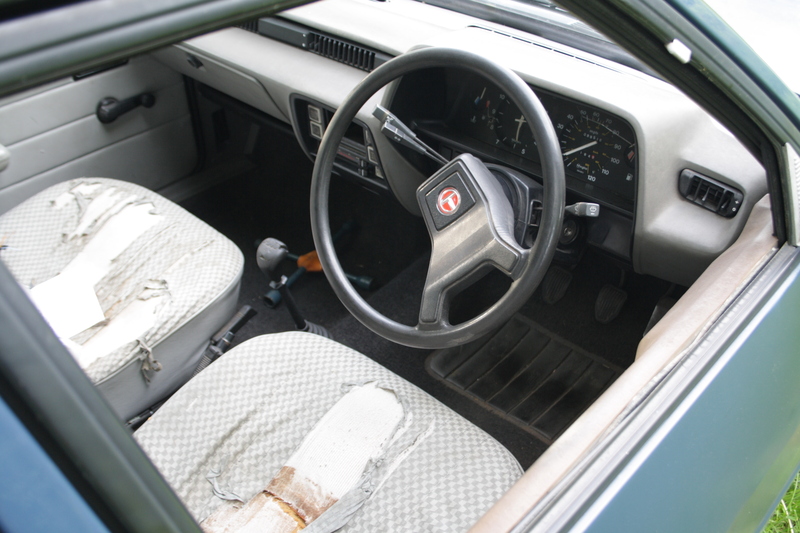 Chrysler Europe was sold to Peugeot in 1979, who dug the Talbot name out of the archives. 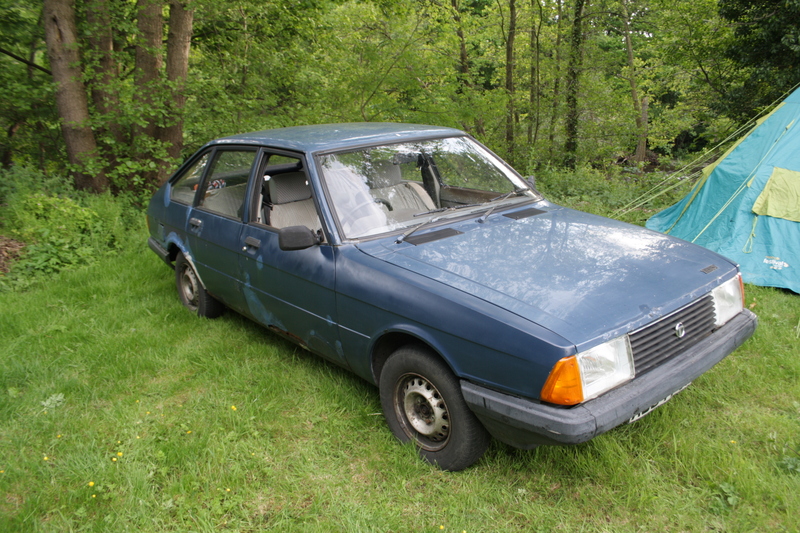 The Talbot Alpine soon got a restyle, with a squarer nose. This one looks dreadful. The body was absolutely hanging – at the time of writing, the entire rear quarter on the driver’s side has now been replaced and further work is ongoing. Typical Talbot Alpine rot. This has all been cut out and replaced now. Oddly, this base LE model has the 1592cc, 89bhp engine. It starts promptly and isn’t as noisy as you might expect. A lot of the ‘Simca rattle’ is down to poorly adjusted valve clearances. It certainly sounds much healthier than it looks! The seats are typically French – very soft, with coverings that have disintegrated in UV light. Pulling away, you soon realise that this is an exceedingly jolly car to drive. It feels leagues ahead of the Cortina/Cavalier/Marina trio. How stupid British conservatism can be. It is hard to place it as a car of the 1970s as it feels much more like a Cavalier Mk2 or Montego. The steering is particularly nice and while the car rolls a bit in bends thanks to that soft suspension, it corners really, really well. They do have a reputation for understeer if you push too hard, but that’s easily avoided by not pushing too hard. The engine pulls staggeringly well. I tested the car up my favourite hill, and it just loped up it in fifth gear! You barely need to change gear at all, which is a shame as it shifts very nicely, with seemingly none of the baggy nonsense that a Peugeot gearchange usually entails – jump into a Peugeot 205 to see what I mean. Shabby chic? Soft seats offer great comfort. Very 1980s in feel, even though design dates from 1970s. Overall then, this car was one of the biggest surprises from a day of driving ‘dreadful’ motor cars. That honour is perhaps shared with the Lancia Y10, but while the tiny Italian tearaway was an absolute hoot, it’s the Talbot Alpine that I’d much rather own on a day-to-day basis. A shame then that they rot so readily! 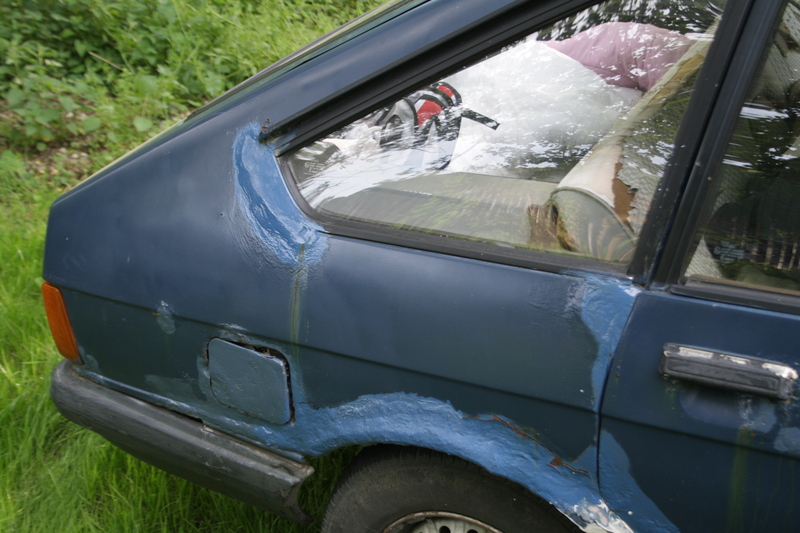 I’m glad this one is now getting the restoration it deserves. They were great cars, as you say they still feel good to drive. It beat the BMW 3 series to European of the Year as it more innovative; in that it was the first sporty five door liftback.